Once Upon a Deadpool, the PG-13 cut of Deadpool 2 with a Princess Bride fairy tale twist, launched on Blu-ray January 15th. If you haven't added it to your collection yet, today would be a great day to go for it because Once Upon a Deadpool is available on Amazon and Walmart for only $14.96. That's a whopping 50% off the list price. Once Upon A Deadpool was put together rather quickly and in secret, two things awfully hard to accomplish in Hollywood these days. For Dark Phoenix director Simon Kinberg, a lot of credit for making that happen and making the movie successful goes to Reynolds. 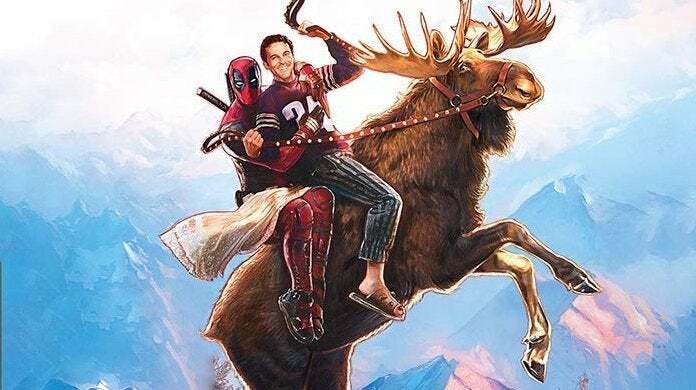 "Ryan Reynolds and his studio—but I will give credit to Ryan Reynolds more than anyone else—is extraordinary at figuring out ways to get around the system," Kinberg told Collider. "And be clever, both in terms of getting attention when it comes to viral stuff and in terms of deflecting attention when it comes to something like this. In the same way that Beyonce and Kanye can drop an album out of nowhere, Ryan figured out a way to drop a movie out of nowhere." Once Upon A Deadpool might be a PG-13 reimagining of the film, but it is helping the previously released Deadpool 2 at the box office. Domestically Deadpool 2 ended its run with $318 million (via Box Office Mojo), but Once Upon A Deadpool has added just over $6 million to its total so far, bringing Deadpool 2's new domestic total to $324,505,097 million. That still doesn't beat the $363 million the first one made, but it doesn't hurt either. Worldwide the film has added $7 million to Deadpool 2's previous total of $735 million for a total of $742 million. The first Deadpool sits at number one amongst the series though at $783 million.